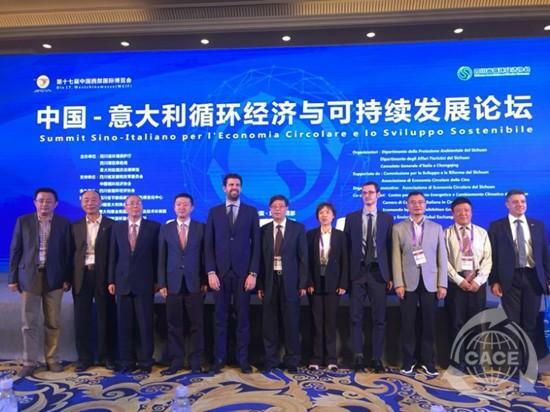 On September 23, 2018, Sino-Italy Forum on Circular Economy and Green Development was successfully held in Chengdu. The forum was sponsored by Sichuan Environmental Protection Department, Sichuan Bureau of Expo Affairs and Consulate General of Italy in Chongqing. The forum focused on the theme of “Green Leading a New Era, Circular Developing a New Journey”, and conducted in-depth discussions and exchanges on circular economy, energy conservation, environmental protection, and clean energy at home and abroad. More than 300 people from the relevant departments of the Chinese and Italian governments, associations, universities, research institutions and enterprises attended the forum.